Aswan is a green and lush city in the South of Egypt and stands on the East Bank of the Nile in the Aswan Governate Area. 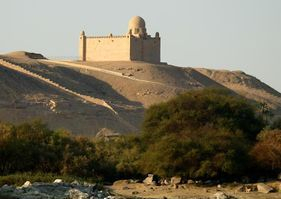 Known in ancient times as “Swenet”, Aswan, during antiquity, was the frontier town of Ancient Egypt facing the South. Swenet, it is said, was named after an Egyptian Goddess of the same name. Due to the Ancient Egyptians being drawn towards the “life-giving waters” of the Nile in the South, Aswan was the first town in Egypt and it is said that “Egypt was born at, or began at Aswan”. 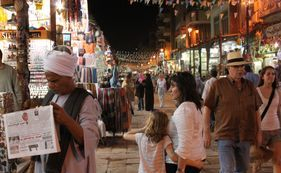 As Egypt’s hottest and driest inhabited city, Aswan’s climate is one of very warm in the Winter and very hot in the Summer. The city generally never sees rain year on year. 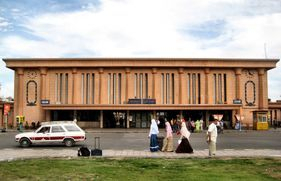 Aswan has its own International Airport and is frequently used as a hub for flights to Abu Simbel. It frequently has flights arriving and departing for the major cities in Egypt, particularly Cairo. 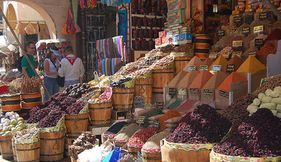 The people of Aswan are renowned for their hospitality, honesty, and friendliness. A visit to Aswan will often result in you acquiring new family members and not just friends; such is the compassion and kindness of the people here. Felucca Sail Boats are regularly seen casually sailing on the calm waters of the Nile at Aswan taking visitors around the protective islands to see the wildlife and places of interest on the Nile. Indeed Aswan, it is said, is a birdwatchers delight. Motorboats also operate to take visitors to see places of interest, as well as visiting traditional Nubian Villages, and to transfer hotel clients to their accommodations on the other side of the Nile waters. Nile Cruises regularly depart from Aswan to Luxor and return, as well as cruises from Luxor making a few days stop in Aswan to allow their clients to explore this magnificent location. It is also highly popular to depart from Aswan on a Lake Nasser Cruise, the artificial lake created by the flooding caused by the creation of the Aswan Dam. Named after the former president Gamal Abdel Nasser, who started the controversial High Dam Project, Lake Nasser is some 550km long and 35km wide (at its widest point). When Lake Nasser was being created, between 1958 and 1970, due to the building of the High Dam, it was necessary to carry out massive relocation projects to try to protect and preserve some of the most important and ancient temples and sites in the area. 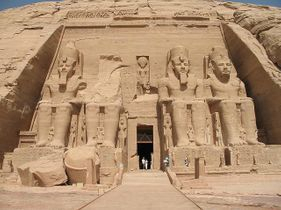 The most famous that tourists frequent nowadays are Abu Simbel and Philae Temple. You can arrive to Aswan by Train, Car, Bus or flight, and whichever way you choose you will always be met by a big smile and a warm welcome. Philae is an island in Lake Nasser. 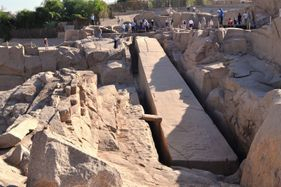 It was formerly an island in the First Cataract of the Nile River and the previous site of an Ancient Egyptian temple complex in southern Egypt. The complex was dismantled and relocated to nearby Agilkia Island during a UNESCO project started because of the construction of the Aswan Dam, after the site was partly flooded by the earlier Aswan Low Dam for half a century. The Aswan Dam is an embankment dam situated across the Nile River in Aswan, Egypt. Since the 1960s, the name commonly refers to the High Dam. Construction of the High Dam became a key objective of the Egyptian Government following the Egyptian Revolution of 1952, as the ability to control floods, provide water for irrigation, and generate hydroelectricity were seen as pivotal to Egypt's industrialization. The High Dam was constructed between 1960 and 1970, and has had a significant impact on the economy and culture of Egypt. Elephantine is an island in the Nile River in northern Nubia. It is a part of the modern city of Aswan, in southern Egypt. There are archaeological sites on the island. The island was given to Lord Kitchener as a reward for his services in the Sudan Campaign (1896-1898) With the aid of the Ministry of Irrigation, Kitchener rapidly transformed the small 750 metres (2,460 ft) long island into a paradise of exotic trees and plants in carefully gardens with view walkways. It later passed into the property of the Egyptian government and was used as a research station for examining different food and cash crops. Today a biological research station is located at the southern tip, which is closed to botanical garden visitors. The Temple of Kalabsha (also Temple of Mandulis) is an Ancient Egyptian temple that was originally located at Bab al-Kalabsha (Gate of Kalabsha), approximately 50 km south of Aswan.The temple was situated on the west bank of the Nile River, in Nubia, and was originally built around 30 BC during the early Roman era. 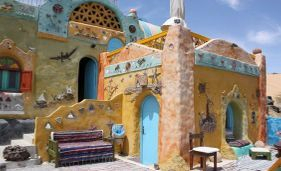 The Nubian Museum is located in Aswan and was built to a design by architect Mahmoud El Hakim for an estimated construction cost of 75 million Egyptian Pound (approximately $22 million at the time). Dedicated to Nubian culture and civilization, it was inaugurated on November 23, 1997 and was awarded the Aga Khan Award for Architecture in 2001. The Mausoleum of Aga Khan is the mausoleum of Aga Khan III, Sir Sultan Muhammed Shah, who died in 1957. The mausoleum is located at Aswan, along the Nile of Egypt, since Egypt was formerly the centre of power of the Fatimids. The mausoleum is built in the style of the Fatimid tombs in Cairo. It is built of pink Limestone, while the tomb is built of white Carrara marble. The Aga Khan was buried there two years after he died, since he used to spend part of the winter season living in a nearby villa. 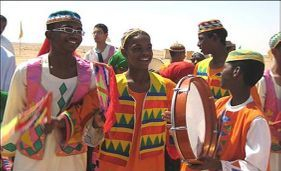 Have a Blissful trip to Nubian Villages situated at the bottom of Elephantine Island. You are going to discover the simple and nature life of the very kind people. to book your tours of Aswan, our highly skilled qualified and licensed Egyptologists will make sure that you will not be disappointed!